Apple’s not known for being the most outward-looking organization. For much of its existence, it’s seemed to project an aura of indifference—verging on ignorance—of what goes on outside its walls. That’s in large part by design: Apple has always had a carefully cultivated veneer of being in a league of its own, eschewing any need to pay attention to what its would-be rivals were up to. But there are signs that Apple’s attitude in dealing with partners is evolving, thanks to one key word: services. The Apple of today is betting big on services for its future, and in many cases those services mean relying on (or at least, taking advantage of) partnerships with other companies—even putative rivals. This past week’s Consumer Electronics Show is a perfect case in point. Apple’s partnership with a quartet of popular TV manufacturers will bring AirPlay 2 to a large chunk of the TV market, as well as, for the first time, allowing access to iTunes video content from a non-Apple device—from the company’s chief smartphone rival Samsung, to boot! For Apple’s upcoming video streaming service to succeed, it needs to be available on more than just Apple devices. Why would Cupertino do this? Look no further than Apple’s forthcoming video-streaming service. If the future of Apple’s businesses includes a big contribution from services, then it behooves the company to have its services available on as many platforms as possible. In the past, Apple’s primarily used services as a way to drive its more profitable hardware sales, but the company has apparently awakened to the virtues of recurring revenue. 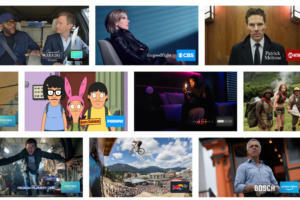 Moreover, if the alternative is to tell consumers “You can watch these great new shows on your Macs and iOS devices, but if you want it on your big screen you’ll have to pay $180 for this specific set-top box, on top of however much you spent on your TV, which yes, has its own streaming apps, just not ours,” well, it’s not hard to imagine that they may balk at signing up for Apple’s TV service. Smart home tech has to date been a field that seemed primarily targeted at the nerdy among us, but the proliferation of options like smart bulbs, smart locks, and smart appliances have definitely started to make their way into the mainstream, albeit gradually. With HomeKit, Apple has built a framework for this preponderance of smart home devices, none of which it makes itself. (The only Apple-made devices that show up in the Home app are the Apple TV and the HomePod, and you can’t really do anything with either of them there.) In order for HomeKit to be successful, it needs partners building smart home devices. And with viable alternative ecospheres from Amazon and Google, Apple’s had to work to make its system appealing to developers. That’s taken some adjustment on Apple’s part, most significantly when the company finally discarded a cumbersome and expensive hardware authentication requirement on devices. That made it much easier and cheaper for other developers to create HomeKit-compatible devices and, as a result, ended up broadening the market considerably. Many of the TVs that also got AirPlay 2 will get some degree of HomeKit compatibility in the bargain, at least letting you turn those devices on and off with Siri. 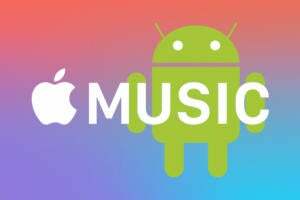 When Apple announced that it would be bringing Apple Music to Android, it came as a surprise to most folks. A few years on, it’s unclear exactly how many Apple Music customers there are on the rival platform—perhaps the best you can say is that it’s more than there would be if Apple hadn’t brought the service to Android. This may be another glass of ice water in hell, but in retrospect it was also clearly the beginning of Apple’s forays outside of its own ecosystem. More recently Apple has also added Apple Music to the Amazon Echo, and support for other smart speakers is supposedly on the way as well. The overriding principle here is a basic tenet of business: you have to go where the customers are. People who own smart speakers are probably in the market for a music streaming service, and if it happens to be the same one that’s readily available on their other devices, all the better. In the end, the more platforms on which your services are available, the more customers you can potentially appeal to. Don’t be too surprised over the next few years if Apple services starts popping up in a lot more places that you might never have expected them.